Lenora Mae Ward White, 86, passed away peacefully on Wednesday, November 7, 2018, surrounded by her family in Gloucester, Virginia. Born May 16, 1932, she was the daughter of the late George & Gladys Ward. 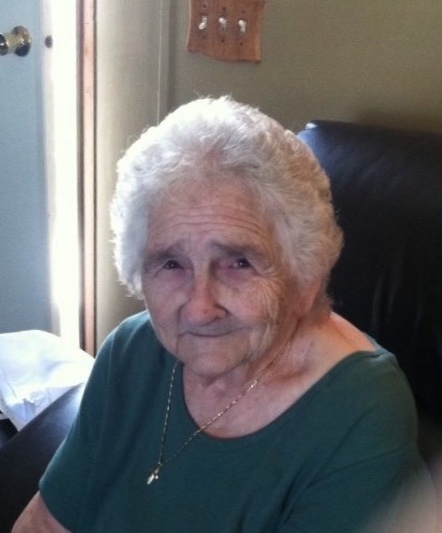 Lenora was a devoted mother, grandma, granny, sister, and a friend to all who knew her. Along with her parents, she is preceded in death by her brother, George Ward; sisters: Mary Mosier, Norma Jean Harvey, Betty Hill, her husband James White; son, James White Jr.; daughters: Sharon Sue White, Deborah Workman and Melissa White and great-granddaughter, Daniele Carr. Left to cherish her memories are her sister, Martha Ward Frye of Logan, WV; daughters, Dianna Hill (Billy Ray) and Tammy Hicks (Chubby); son, Timmy White (Teresa) all of Gloucester, VA. Lenora is also survived by 13 grandchildren, 27 great-grandchildren, and 2 great-great-grandchildren, as well as a host of nephews, nieces, and a very special friend, Darlene Doss. She was a devoted church member and attended Sycamore Free Pentecostal Church of God. The family will receive friends at Sycamore Free Pentecostal Church of God on Tuesday, November 13, 2018 from 6:00 p.m. until 9:00 p.m. The funeral will be held Wednesday, November 14, 2018 at 1:00 p.m. with Rev. Cecil McClellan and Rev. Ricky Peters officiating. The singers will be Duke Stewart and Vonda Thompson. Interment will follow at Pineview Cemetery Orgas, WV. Armstrong Funeral Home Whitesville is- in- charge of the arrangements.